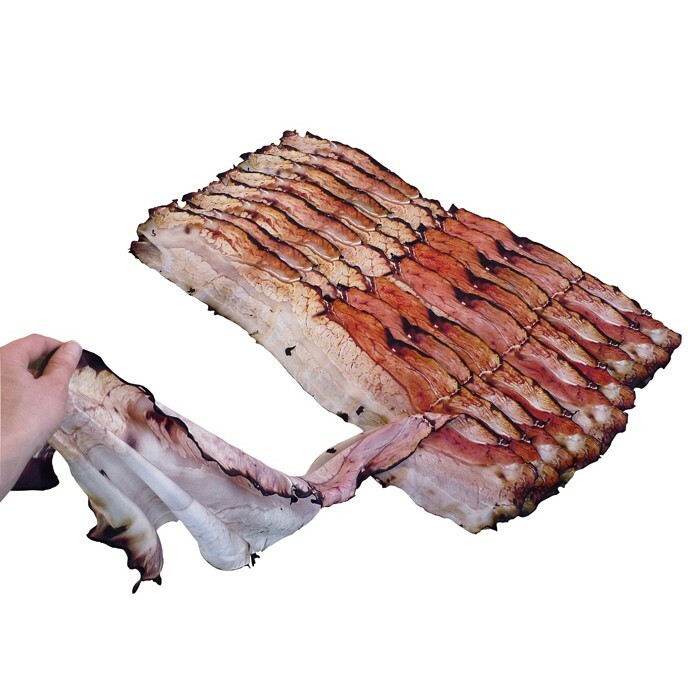 This silk scarf actually caught my eye before I noticed the best thing about it: it's design to look like BACON. Like the rest of the internet, we never shut the bloody hell up about bacon we've got a bit of a thing about bacon. 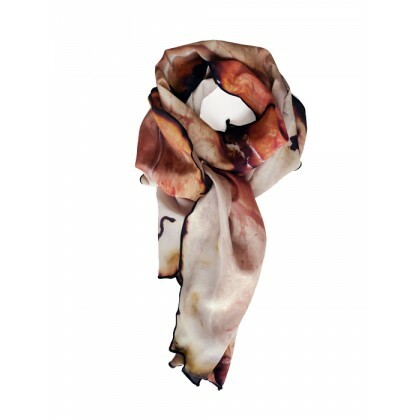 Designed by Natalie Luder, this photographic silk scarf is surprisingly realistic (without looking like something Lady Gaga wore). Coincidentally, the French word for silk scarf is foulard so this quite literally translates as 'insane bacon'. 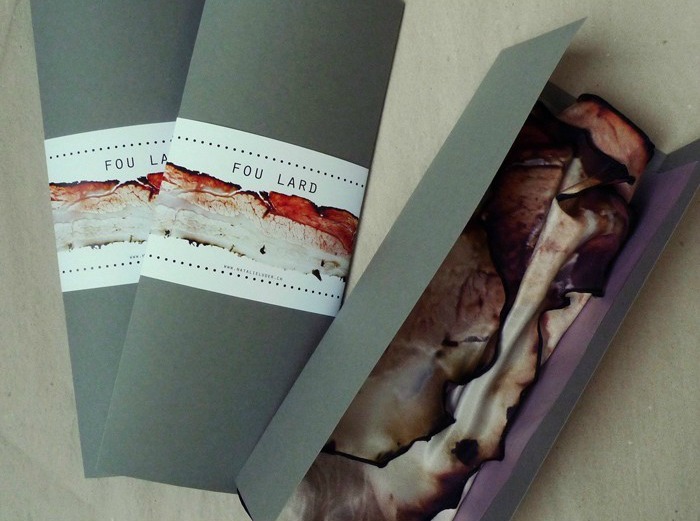 It even comes in a nice box (it should do, it's £110 from Culture Label - you can buy a lot of porkstuffs for that). I do think it works better when it's laid out, which makes it a little redundant once it's around your neck, but I really do like the idea behind the design. I promise not to wear it to any vegetarian restaurants. What do you think? Bacon-y bonkers or bacon-y brilliant?